As a Pet360 Ambassador Blogger, I have some fun stuff to share today regarding the back to school season for pets. This is a sponsored post. It's that time of year when kids and teenagers are headed back to school. Of course, this usually means the pets are left at home alone all day and must readjust to a new schedule. When I was working as a veterinary technician, Shiner was home by herself for long periods of time and I know she got bored. She didn't eat while I was away at work and my daughter was off at school and the babysitter's. Sometimes she even caused a bit of mischief. Pet got the back to school blues? Pet360 can help! Now that I'm a full-time stay-at-home mom, she's much more happy. I wish I had done more for her to curve her boredom while we weren't at home in the past. I'm sure she would have enjoyed chewing on a stuffed KONG treat dispenser toy. Read more tips about how you can keep your pets happy at home for the back to school season at Pet360. Speaking of going back to school, this is the time when everybody gets all decked out with new clothes and school supplies. Wouldn't it be nice if you could do the same thing for your pet and help them look their best for back to school? Well, here's your chance! Entering the giveaway is super easy too. 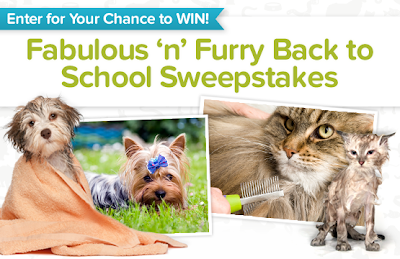 All you need to do is visit the sweepstakes HERE and then submit a photo of your pet taking a bath, being groomed, or looking their best for the new school year. 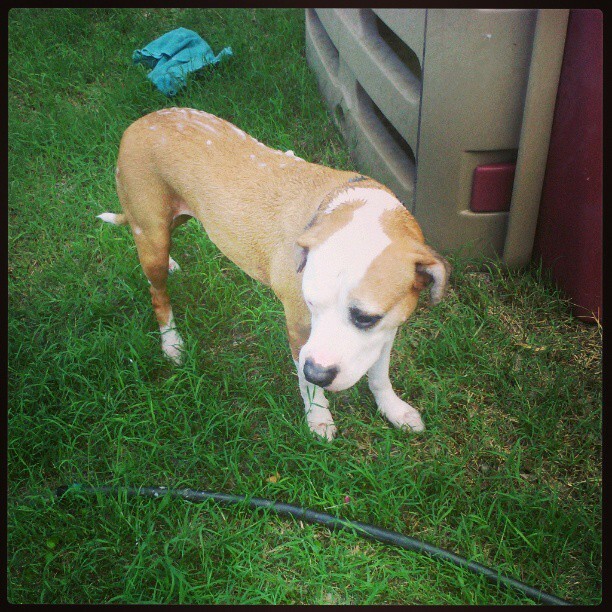 I may not be eligible to win, but here is the photo of Shiner taking a bath that I shared at Pet360. The giveaway ends on September 30th so be sure to get your entries in today! Good luck everyone and have a happy Back to School season with your pets! Oh man I wish I can take part of this! I'm having just a hard time with Joker, and Lupetto's fur recently this would help us alot! I know - I wish my overseas friends could participate!